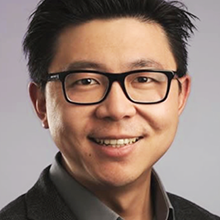 Dr. Liao is CIO of RayVio and also serves on its board of directors. Dr. Liao is responsible for driving overall strategy and development of RayVioâ€™s business; with a particular focus on RayVioâ€™s UV-LED healthcare and consumer products and partnerships. Dr. Liao co-developed RayVioâ€™s core material technology at Boston University. He was formerly an epitaxial growth scientist at Philips Lumileds. He has a PhD in Electrical Engineering from Boston University.